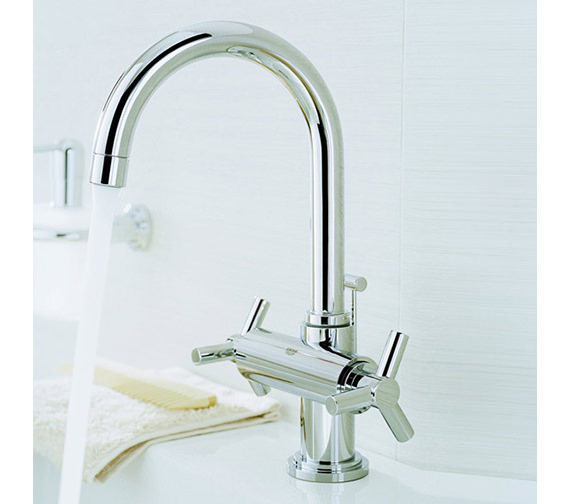 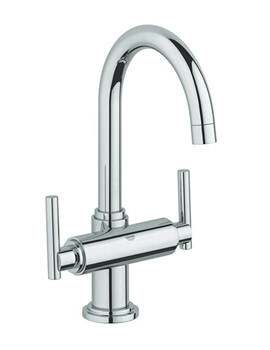 Blending hot and cold water to suit your preference becomes effortless with Atrio Ypsilon Basin Mixer Tap. 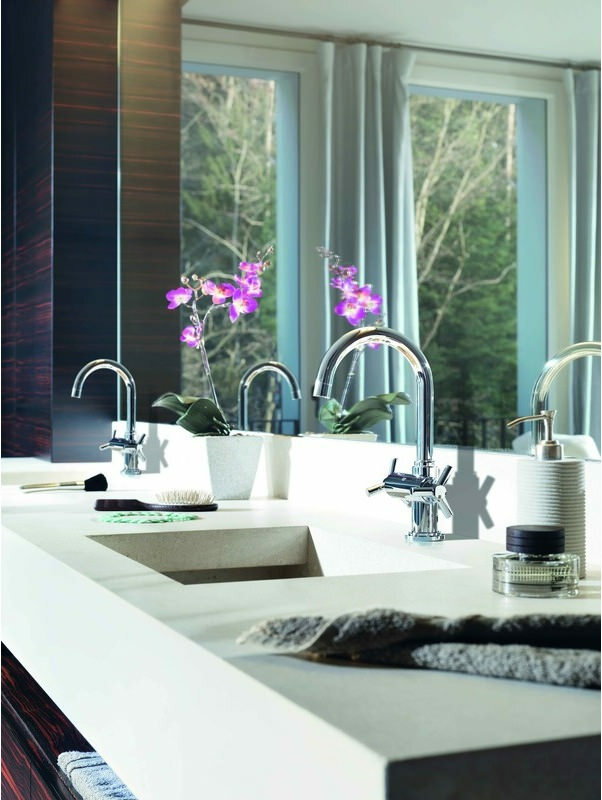 This faucet offers your individual control knobs to manipulate the water flow and mix the hot and cold temperatures to suit your requirements. 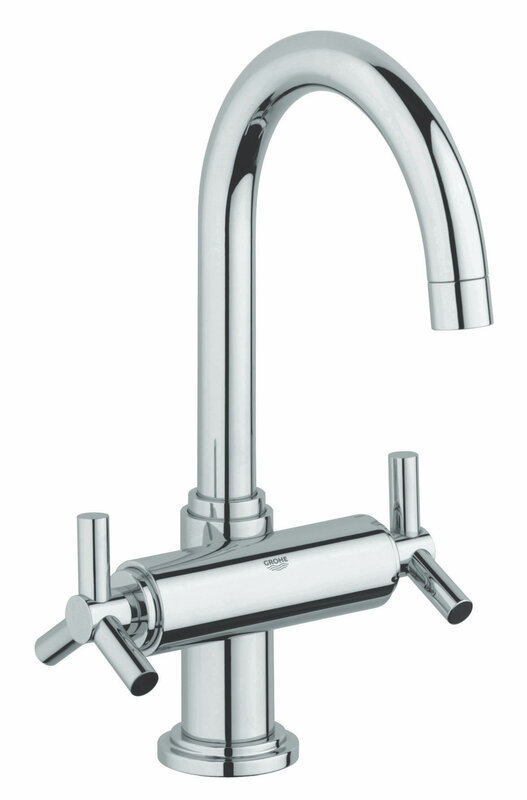 Its swivel tubular spout offers you better reach and makes the experience least tiresome. 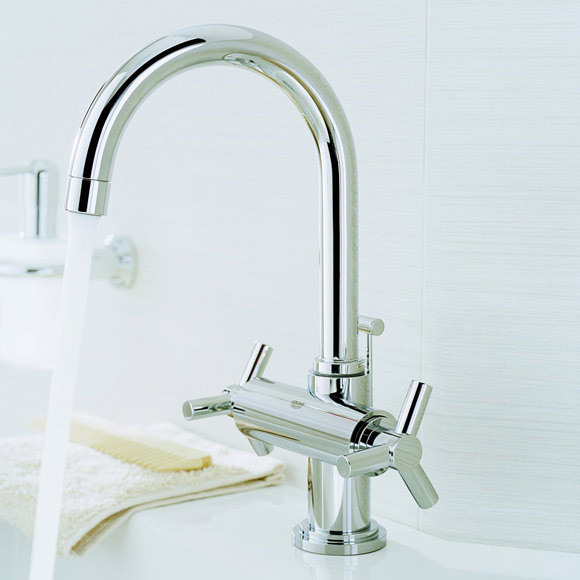 As a part of its anti-clogging measure, a pop-up waste is provided to counter drainage blocking. 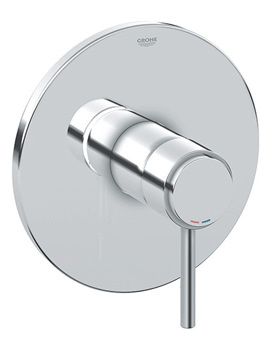 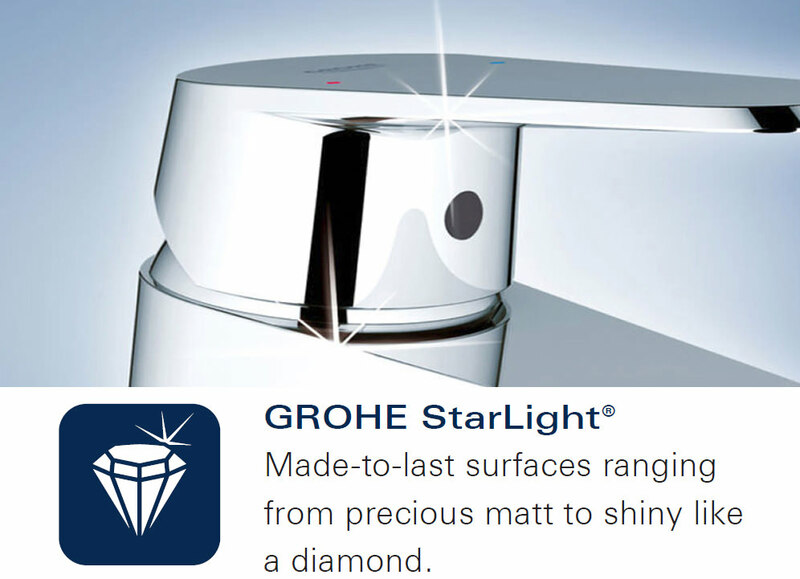 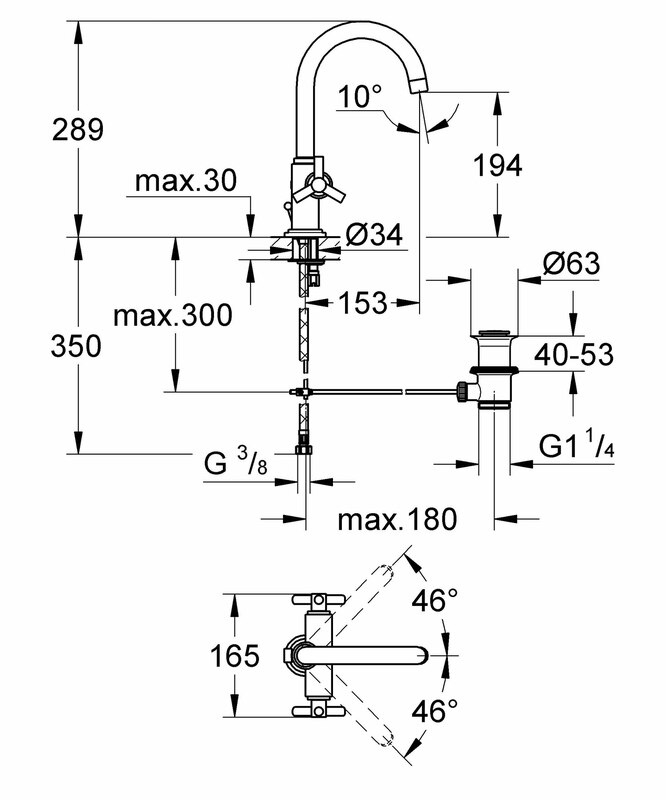 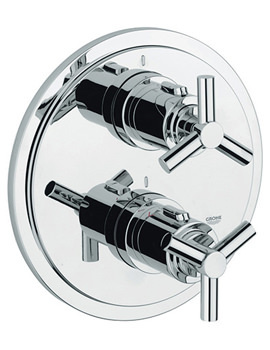 A 5-year guarantee is provided by Grohe with the purchase of this product. 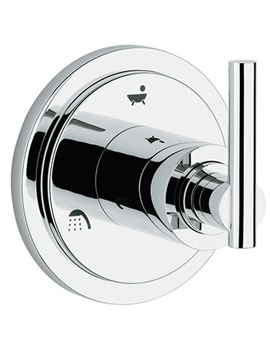 Manufacturing code of this product is 21019000.